Hardcover, 7.5 x 11.5 in. / 152 pgs / 85 color / 46 bw. Essays by Sabine Folie, Jaroslaw Suchan and Hanna Wroblewska. 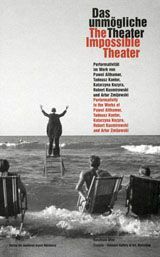 Tadeusz Kantor, who lived from 1915 to1990, was one of Poland's most important artists: he painted, created, directed, mounted happenings and founded a key independent theater in Krakow. 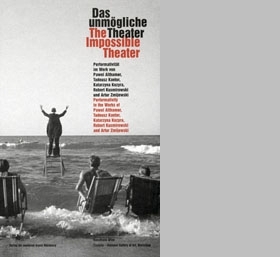 Along with his own works on paper, objects, photographs and films, The Impossible Theater brings us his descendents, artists of the younger generation, represented by installations, performances and projects. Like Kantor, they cast themselves in roles that call for mediation in the social world. FORMAT: Hardcover, 7.5 x 11.5 in. / 152 pgs / 85 color / 46 b&w.